Another tough hole. 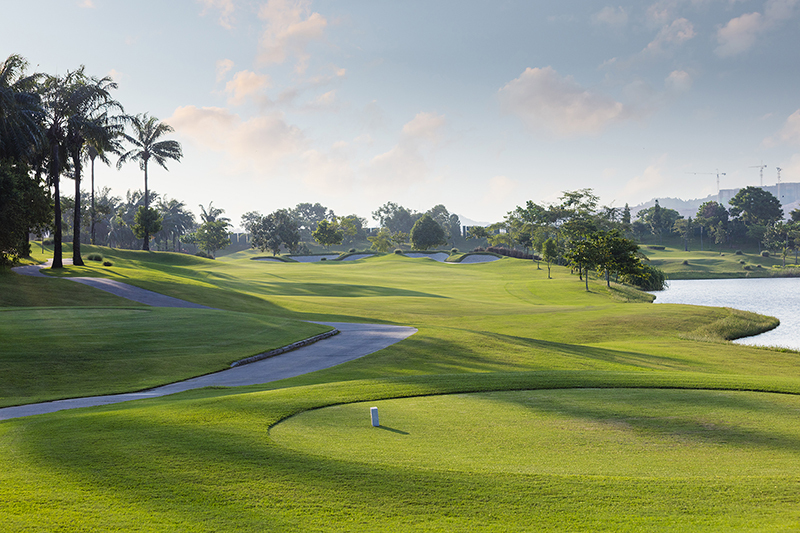 The tee shot has to be straight and long to avoid a cluster of raised oil palms on the left that forces this hole to dogleg left. Any tee shot that is sliced will end up in water and a bunker right of the landing area will encourage the better golfer to play a big draw around the palms in order to set up a mid iron for the approach shot. The very elevated green is a complex of contours and terraces and slopes from back to front. 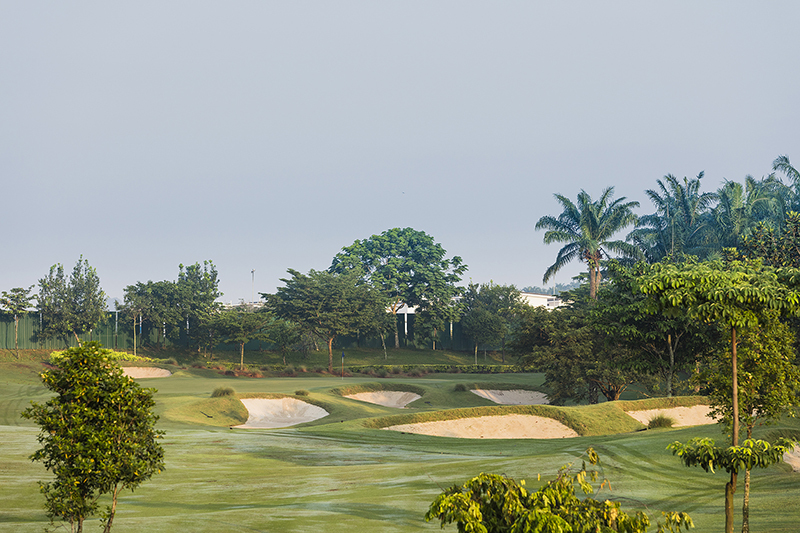 This is indeed a super golf hole that needs respect and even a well-planned bogey can be satisfying for the higher handippers.